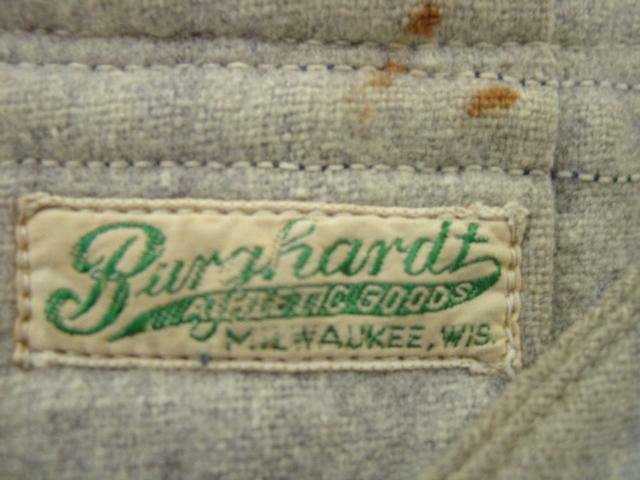 This gorgeous 1940s Brewers road flannel recently sold for $510 on eBay. It provides us with a great look at the colors of Milwaukee baseball history. 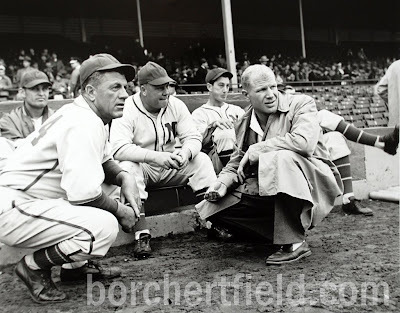 This uniform style dates back at least as far as 1939, as seen in this picture of player/manager Minor "Mickey" Heath in his road grays (the sleeve patch helps establish the date). This blue-and-red combination would see service throughout Bill Veeck's tenure as owner. 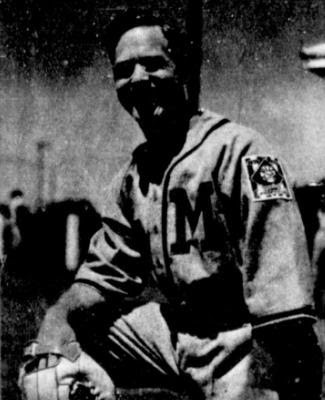 Veeck would introduce new uniforms in 1942, featuring an elegant script "Brewers" across the front, but kept the old block "M" jerseys as an alternate. 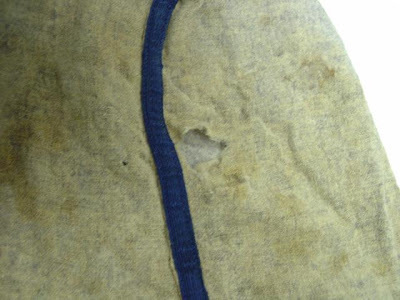 The reverse features a simple block number. 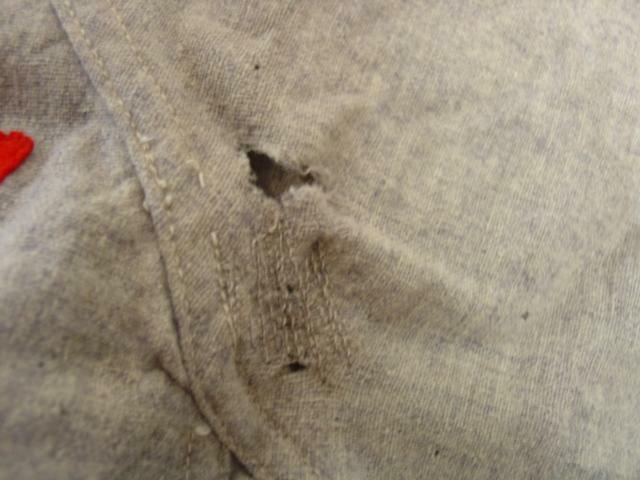 And boy, has this jersey been through the wars. 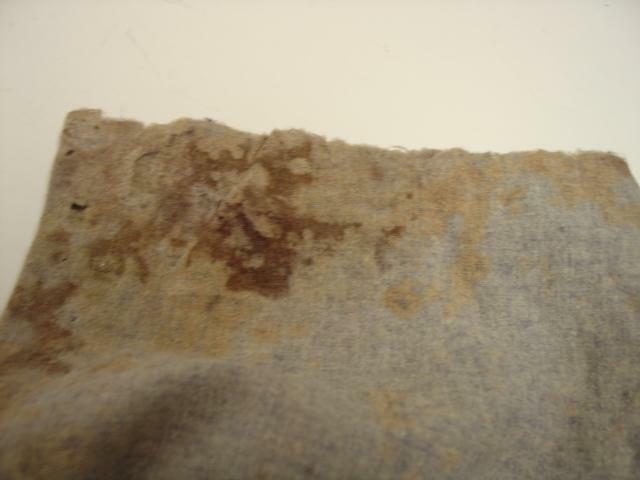 Stains, tears and moth holes dot the fabric throughout. There's that distinctive thick blue piping again. Not all the damage is of recent vintage; the jersey shows evidence of team repairs. Again, this is not uncommon in jerseys that would be passed from player to player over several years. 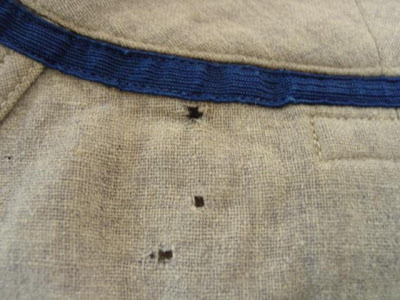 Another interesting feature is the double-tagging. 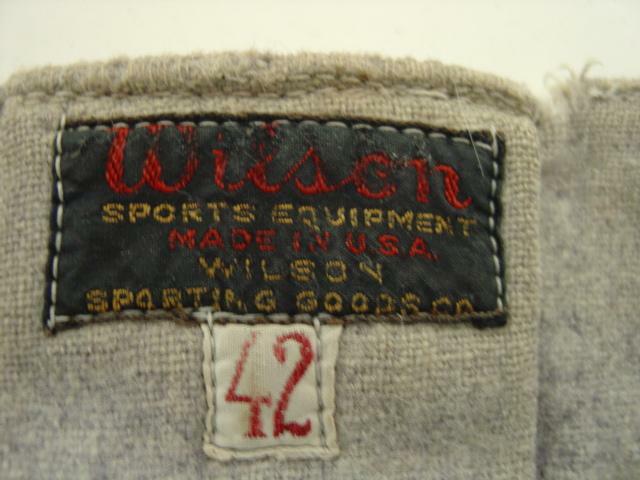 The first tag is from the manufacturer, Wilson. The second tag is from Burghardt Athletic Goods of Milwaukee, who supplied the jerseys to the Brewers. They're still in business today (and in the 1980s, I bought my high school letter jacket from their store on Capital Drive). 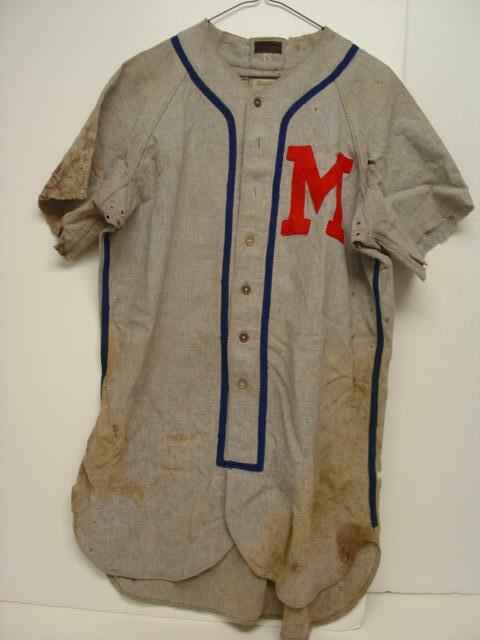 A fantastic relic of Milwaukee baseball history. 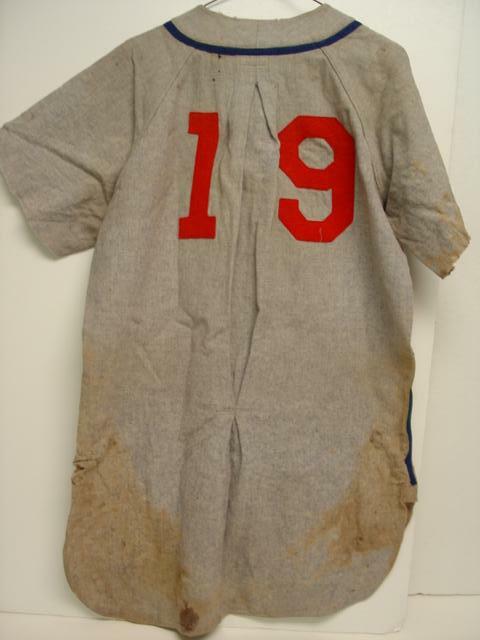 If you're the lucky owner of this jersey, drop me a line. I'd love to talk to you about your new acquisition.